Time to go on a mini shopping trip with me today, a little desk vacay. 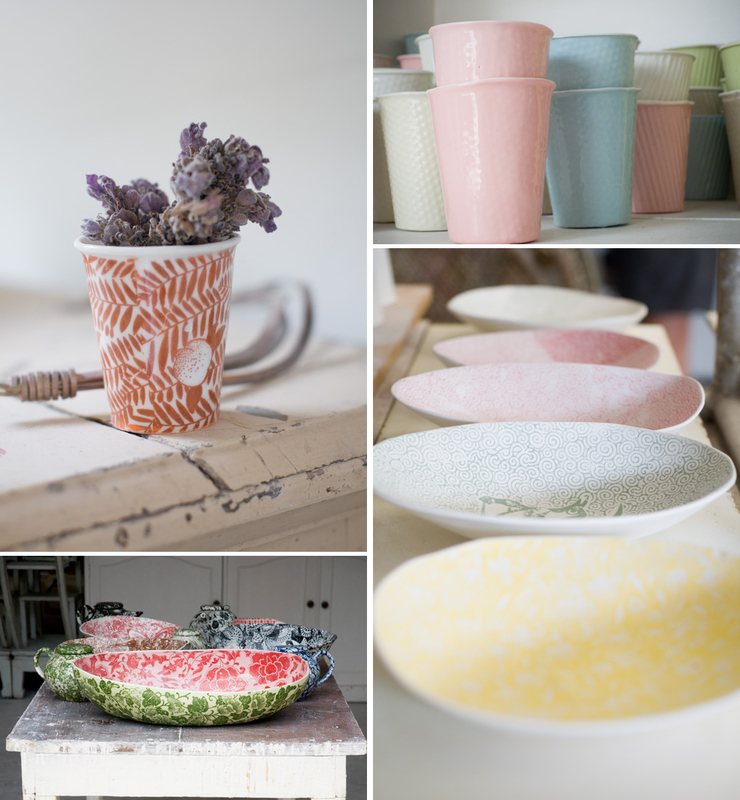 Let's visit Samantha Robinson's ceramics studio in Sydney and fight over which ones we'll take home with us, okay? I have dibs on nearly all of them (kidding, I'll share!) 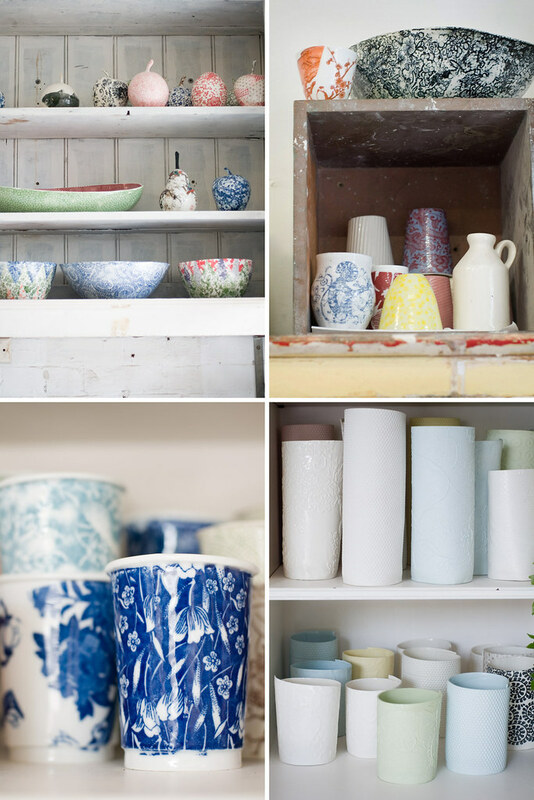 and I am especially excited that photographer Jillian Leiboff shot this studio with Samantha's permission to share here on decor8 today because these photos really capture the essence that is Samantha Robinson. She creates art capturing it in a most functional way to show that everyday objects need not be mundane. 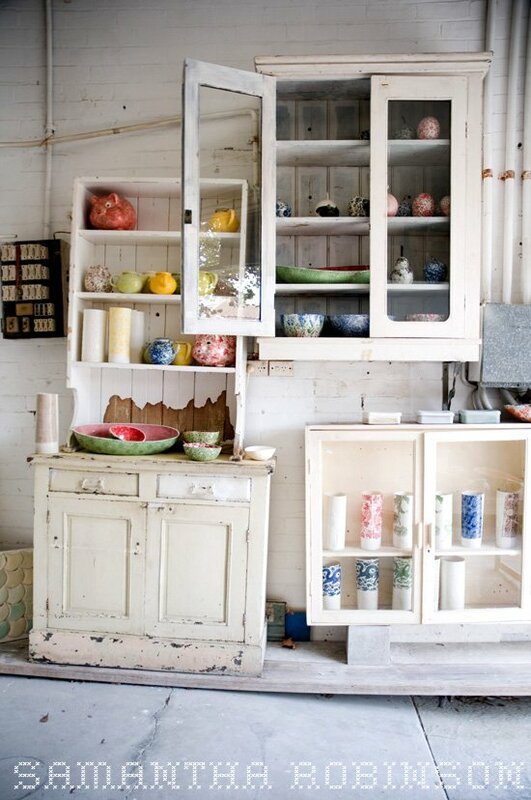 This ceramicist is one of my favorites and so for me it's a real treat to peek in on the space where she creates such precious pieces. I particularly like how fragile some appear, and how others look like paper, painted glass, and even plastic. Gorgeous. 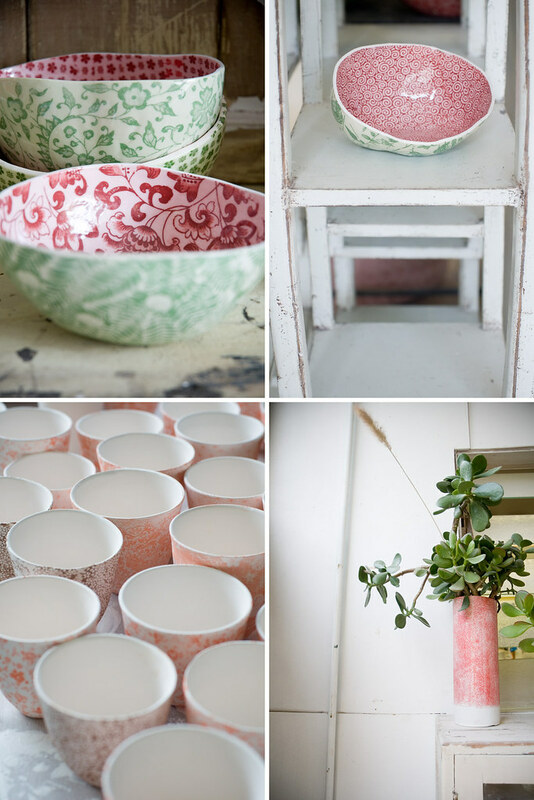 As I look through these photos I can't help but smell the earthy clay and paint -- and imagine how beautiful these vessels would be to hold in my hands -- some to drink from, others for flowers, still others for fruit. 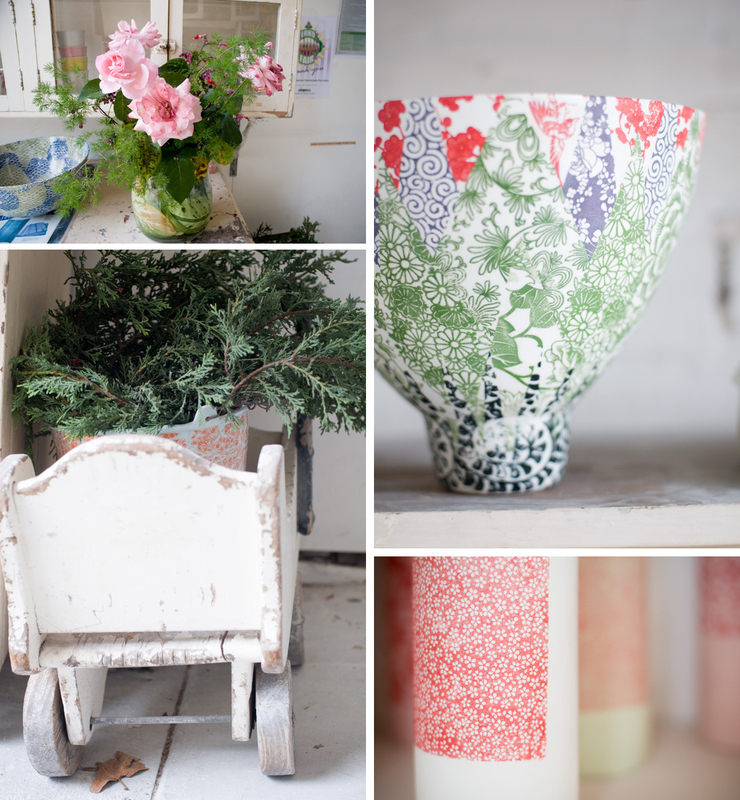 I get the sense from her studio that she is truly happiest when she is potting. I would like to own a few for my home but I don't know of any shops in Germany or Europe who would ship them to me... so I guess I will have to drool along with the rest of you who also have little to no access to Samantha Robinson's beautiful works. I'm sure the more we blog about her online, the more shops will carry her fine things locally. So spread the word! Thank you Jillian for the photographs and also Samantha - thank you for giving us permission to share them publicly!